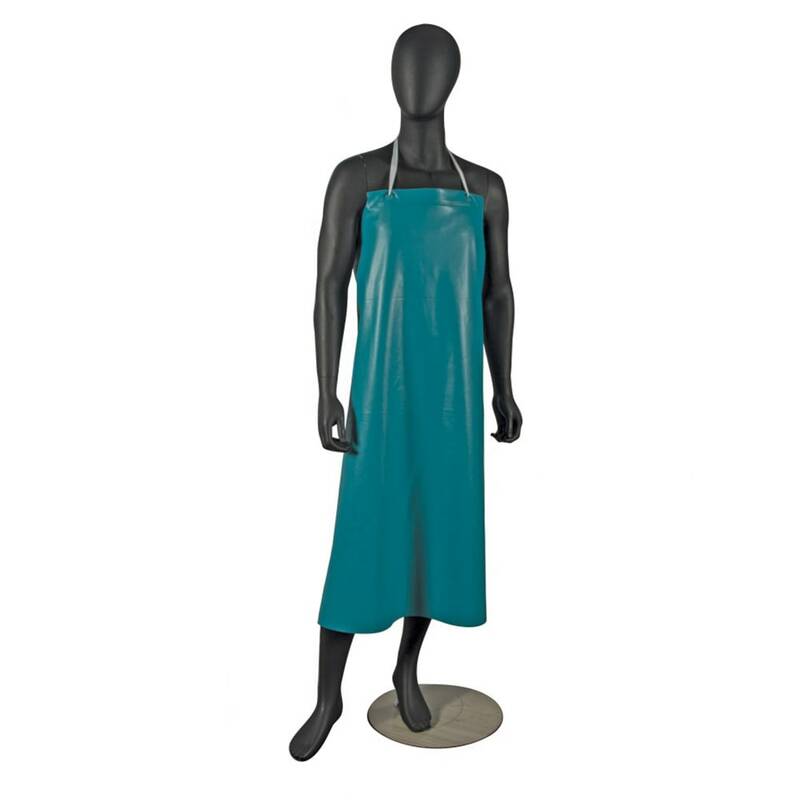 The San Jamar 614DVA20-GN dishwashing apron is made of durable, heavy-duty vinyl for tear resistance. 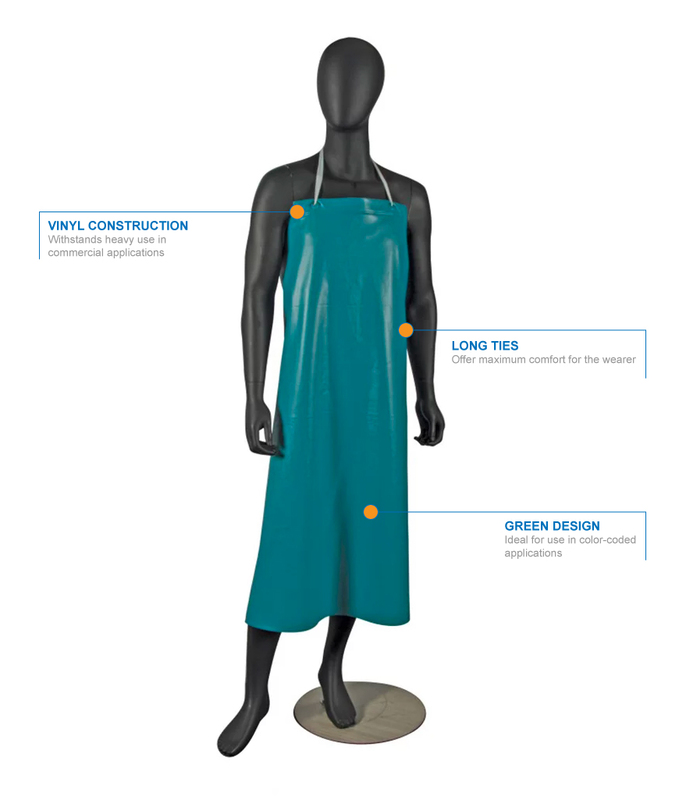 Since it protects the wearer from abrasions, fats, and liquids, the apron is ideal for food handling, prep, and industrial maintenance. 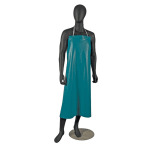 For color-coded specific applications or areas, the apron comes in a green color. "not too heavy and the vinyl feels soft yet thick, so far so good"